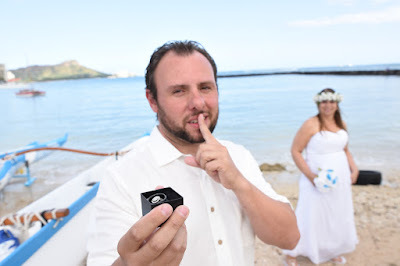 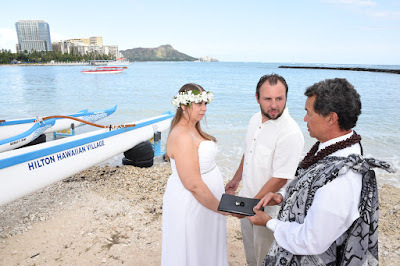 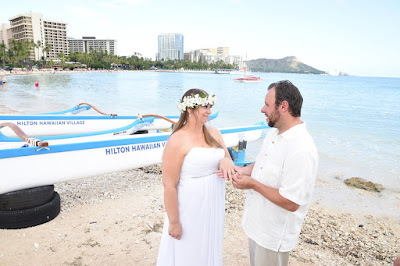 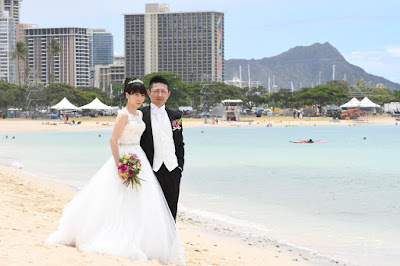 Fun honeymoon photos taken by Oahu Photographer Robert Hamilton at Ala Moana Beach Park, just one mile from Waikiki. 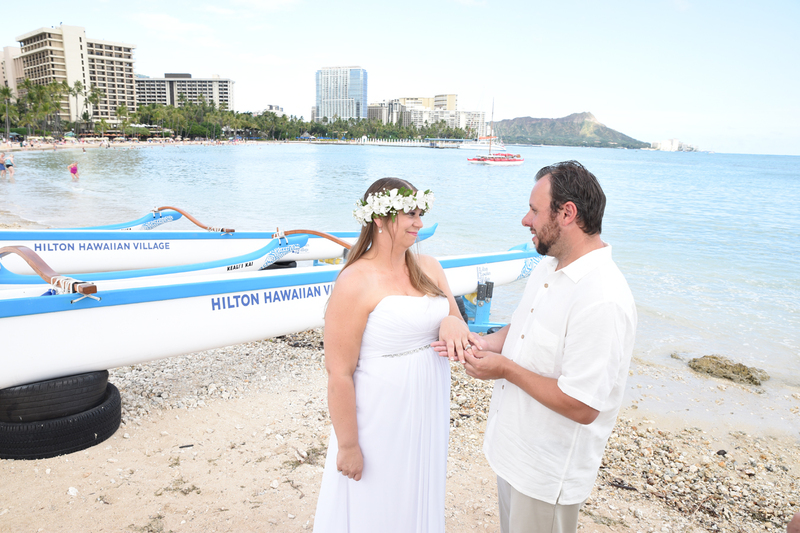 Let Robert Hamilton capture your precious moments in Honolulu. 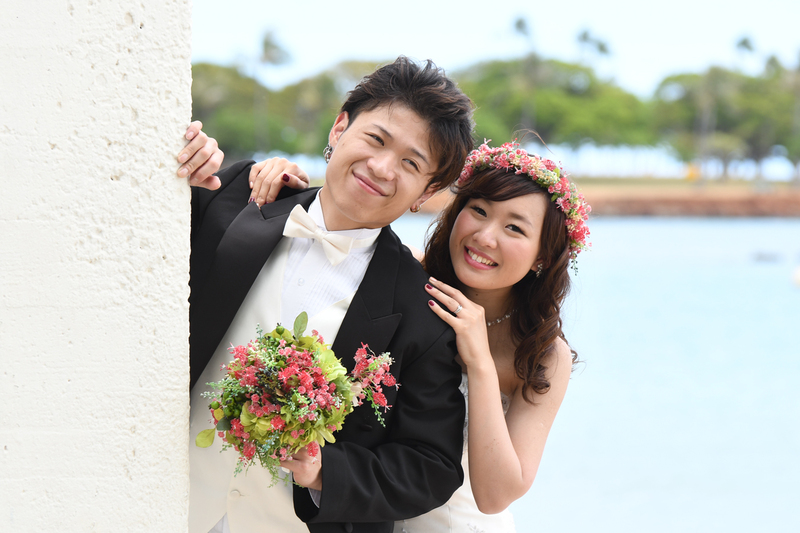 Call 808-772-1140 to reserve your Photographer on Oahu. 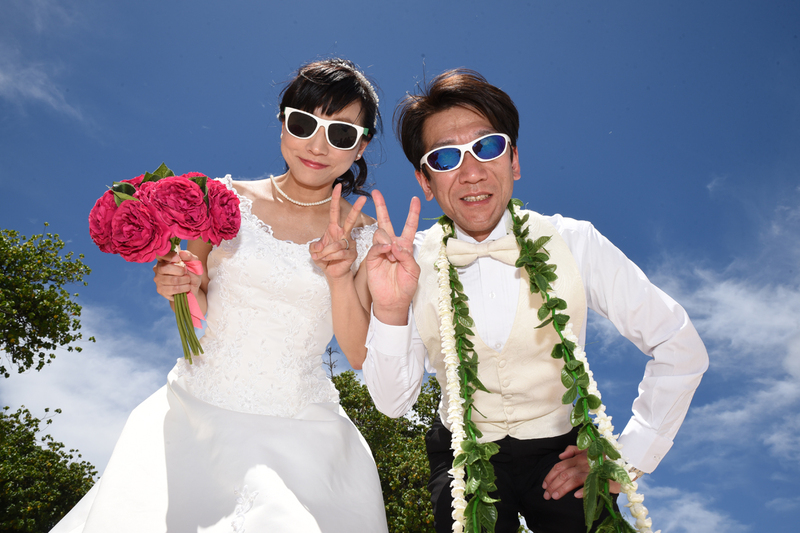 Bring some silly photo props to liven up your photo shoot. 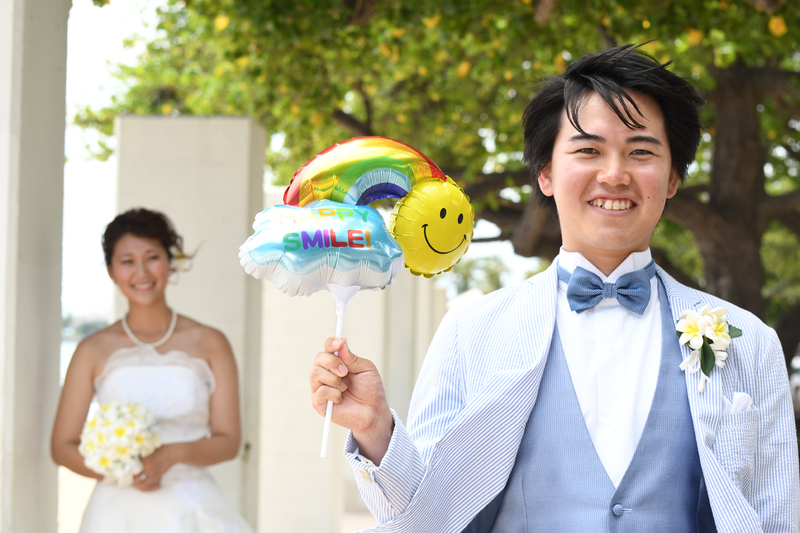 A smiley face should do the trick. 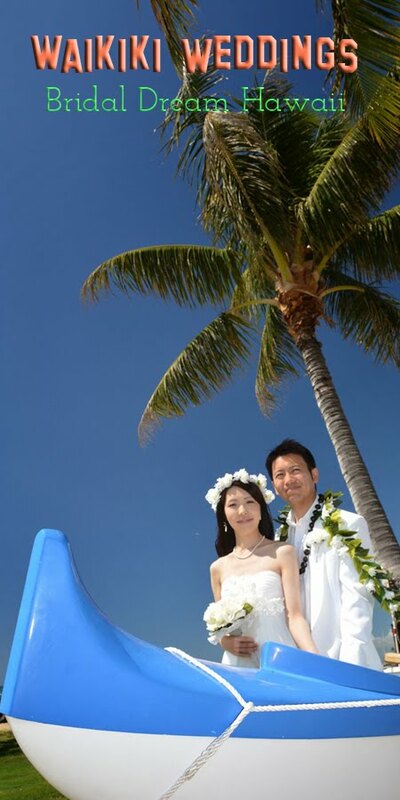 Baby blue sky on a lovely day with Hayato and Ayaka at Ala Moana Beach Park in Honolulu, Hawaii. 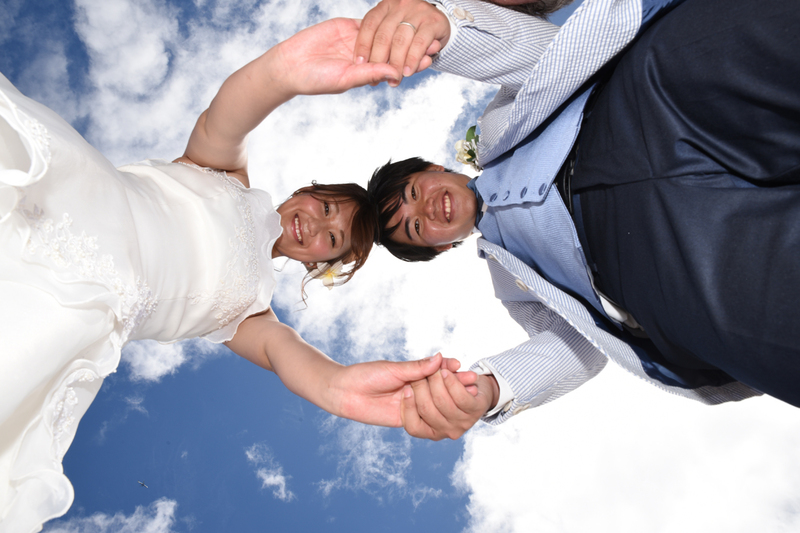 Nice jump by Japanese honeymooner Hayato! 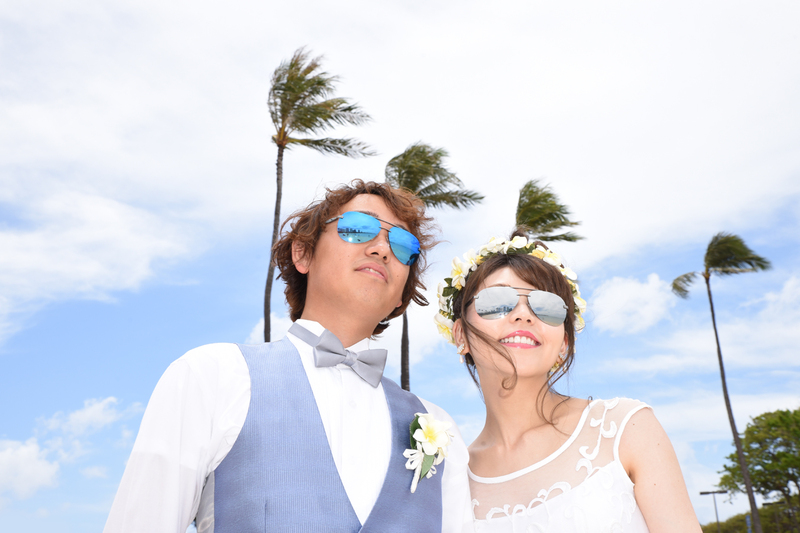 Good pose for a photo! Cheerful and photogenic, a Photographer's dream. 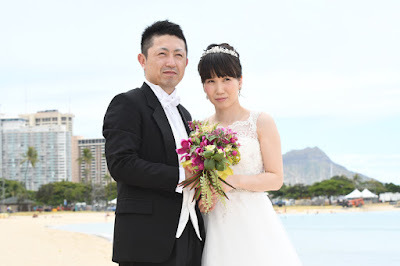 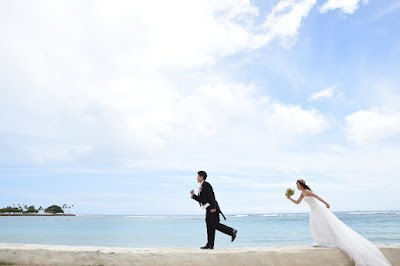 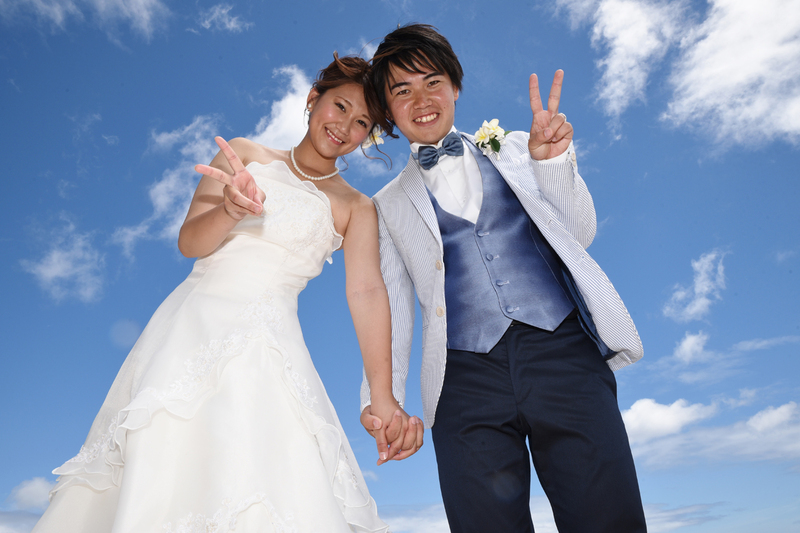 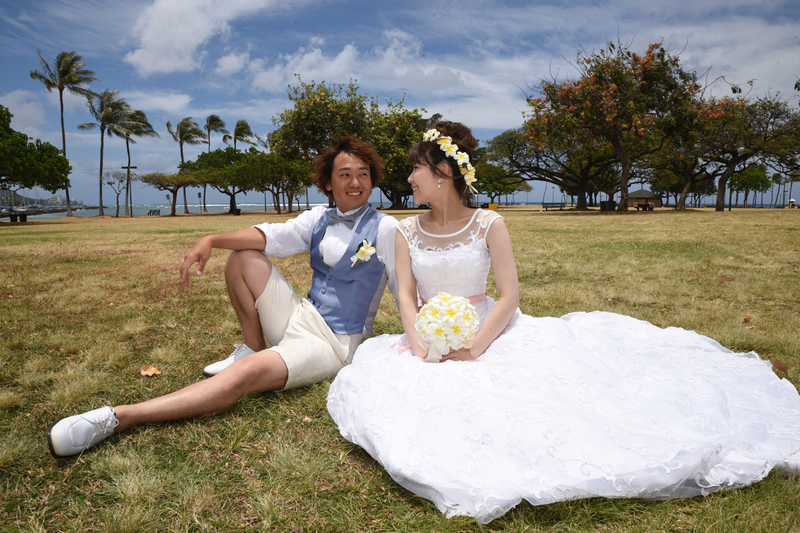 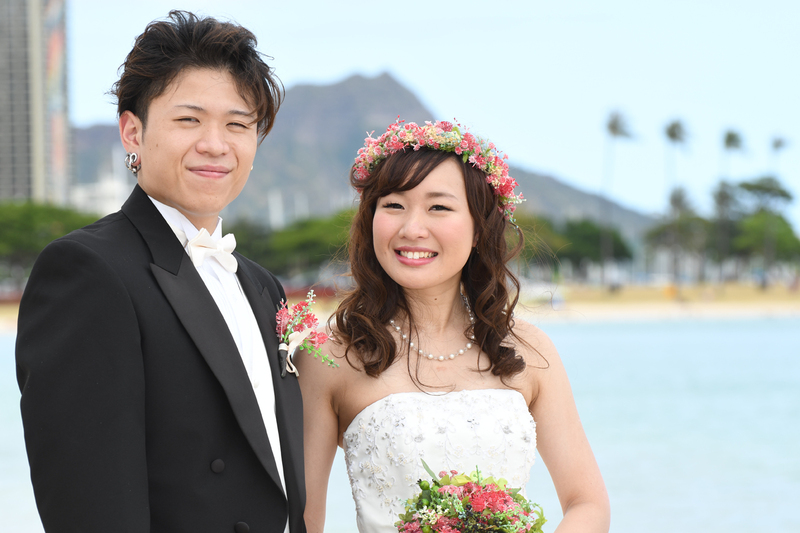 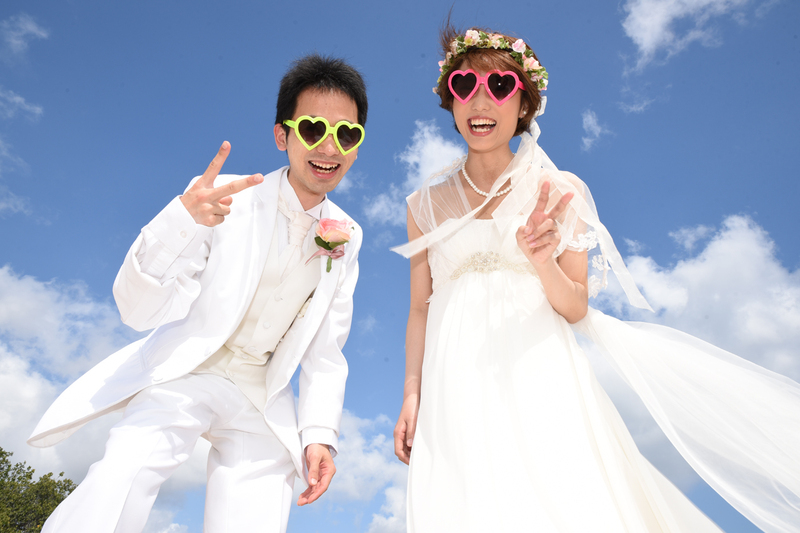 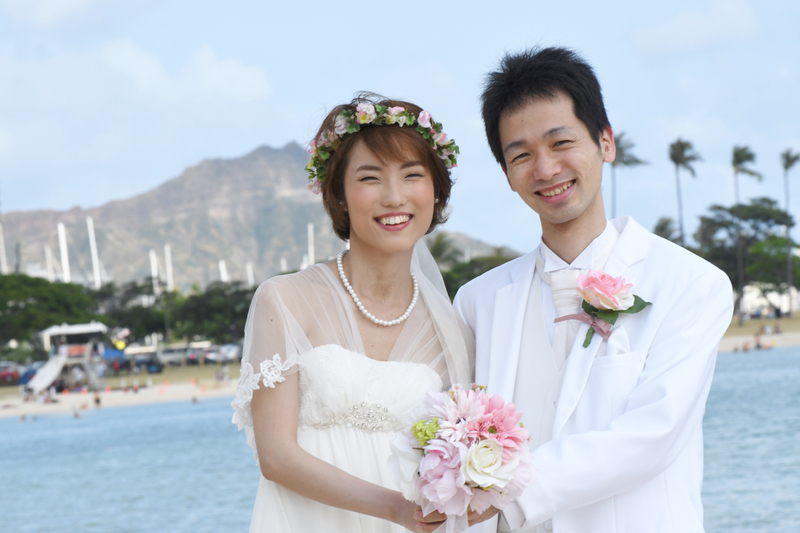 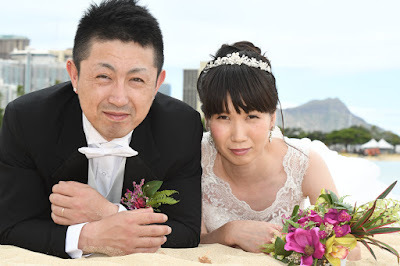 Japanese couple Seiya and Urara stroll around the park at Magic Island for memorable Hawaii wedding photos. Enjoy yourselves on your honeymoon in Hawaii and the photos will turn out great! 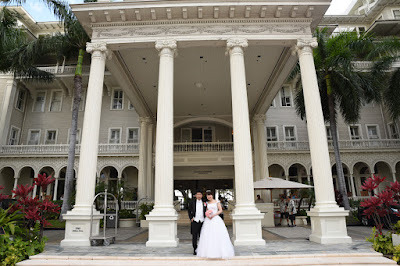 Classic style Moana Surfider is an elegant and picturesque location for memorable Oahu honeymoon photos. 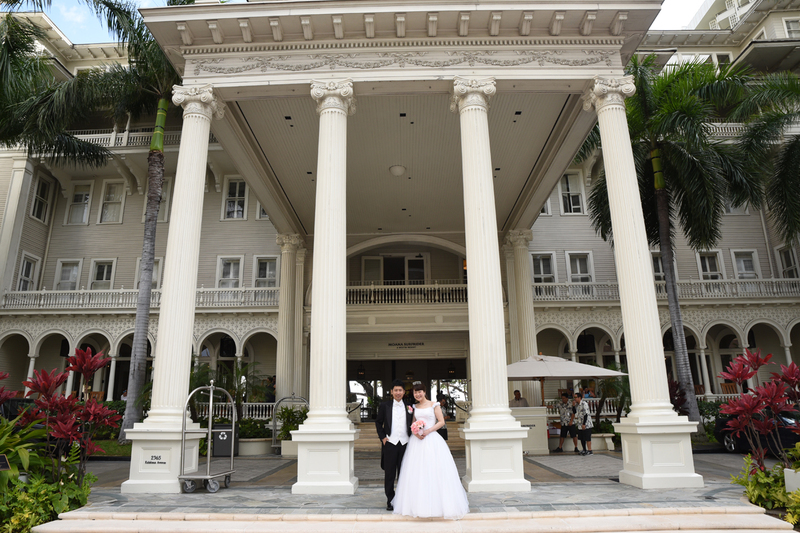 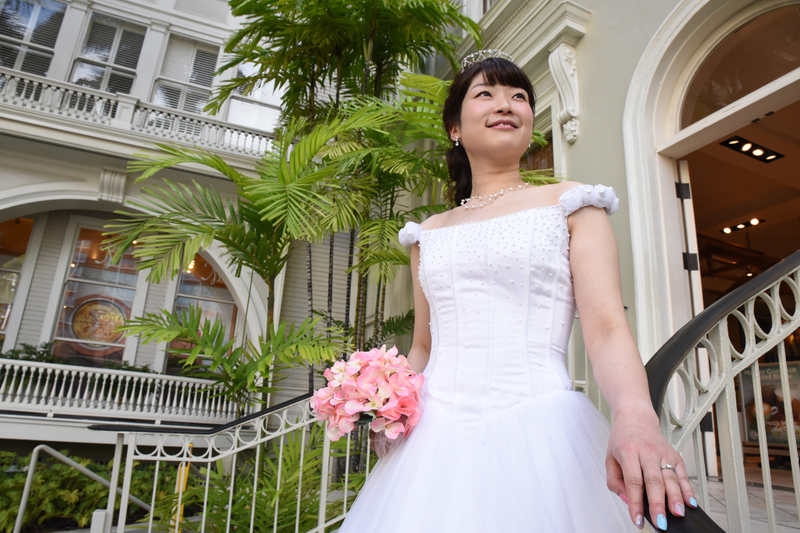 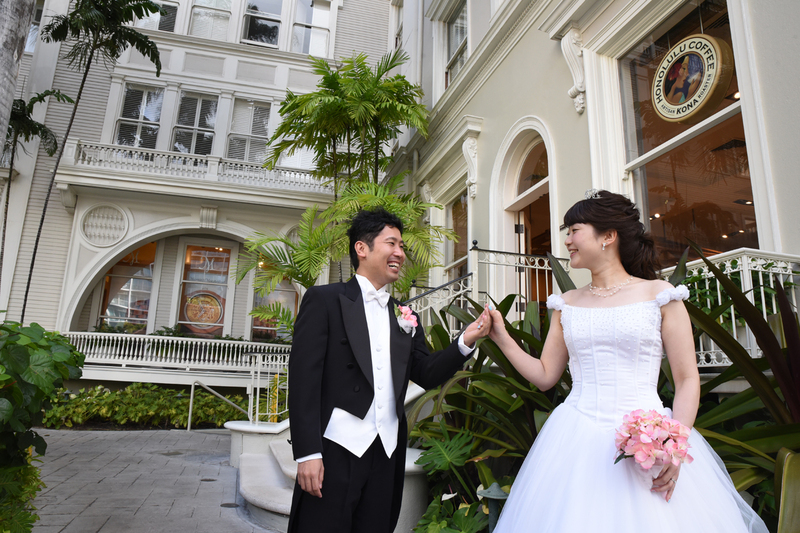 Honeymoon couple from Japan takes photos at Royal Hawaiian Hotel. 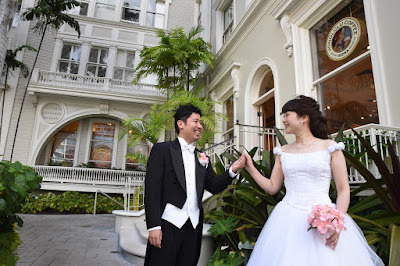 Fine photography in Honolulu by Photographer Robert Hamilton. Motoki gives his wife a bear hug. 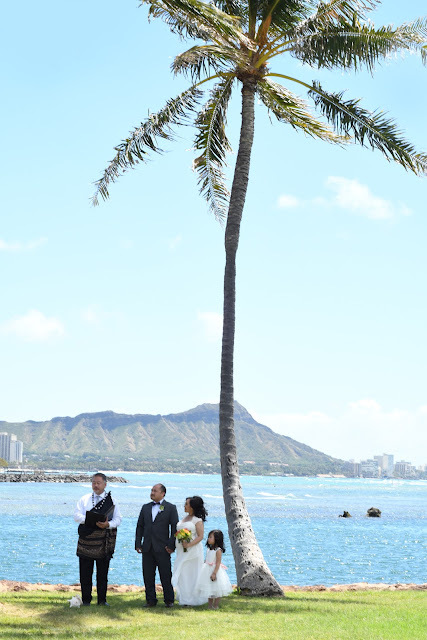 Beautiful green tree makes a nice photo backdrop at Ala Moana Park. 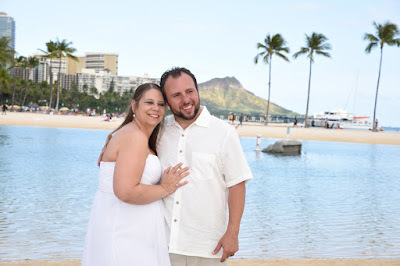 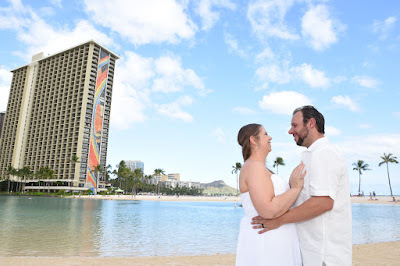 The white wall at Ala Moana Beach is one of our favorite spots for honeymoon photos in Honolulu. Don't miss our STROLL THROUGH KAKAAKO.